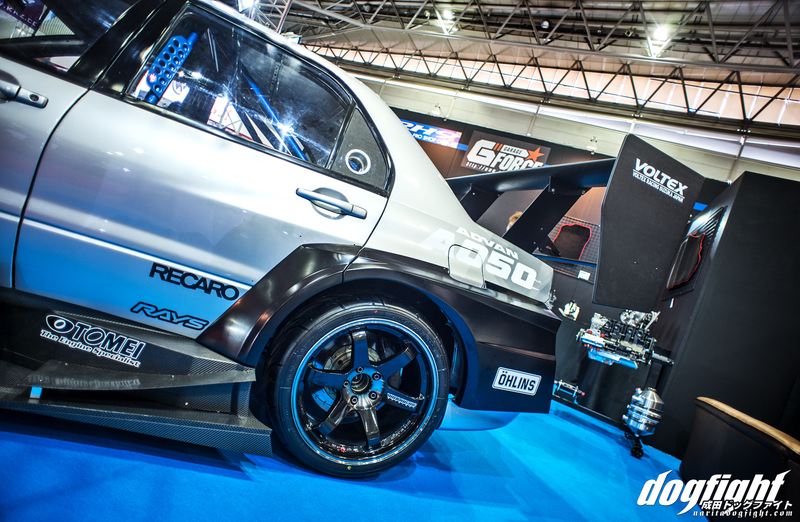 The Varis parts have since been retired in favor of a collection of custom Voltex pieces that may look familiar if you’ve seen both Hiroyoshi Shimada’s (Kyushu Danji) EVO, or even the Top Fuel S2000RR. 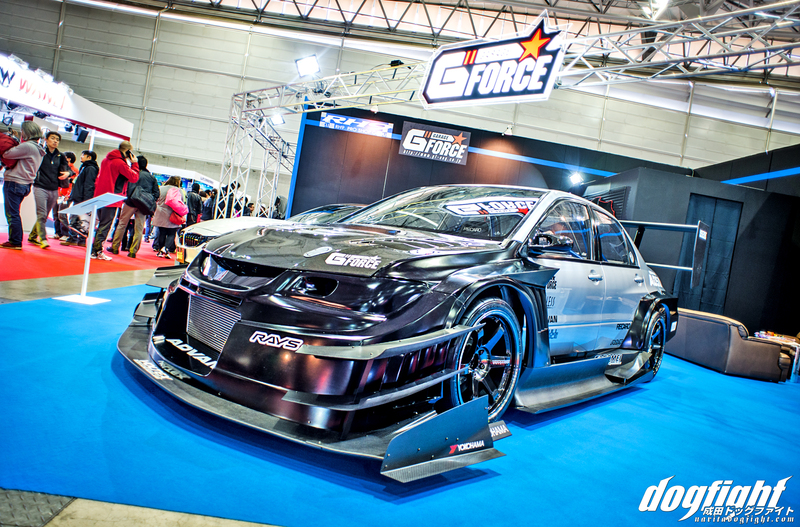 You may be wondering why G-Force would bring their main demo car to one of the largest auto shows in Japan in an unfinished state (no paint!). Well, I had the fortune of getting that answered after getting recognized by an employee of G-Force. I spoke with Mr. Atsushi Fujii for a few minutes in regards to the new look, and he mentioned that they, just three days prior to the show, had gotten the car put back together. If it looks this good unpainted, I can’t wait to see it all one color. 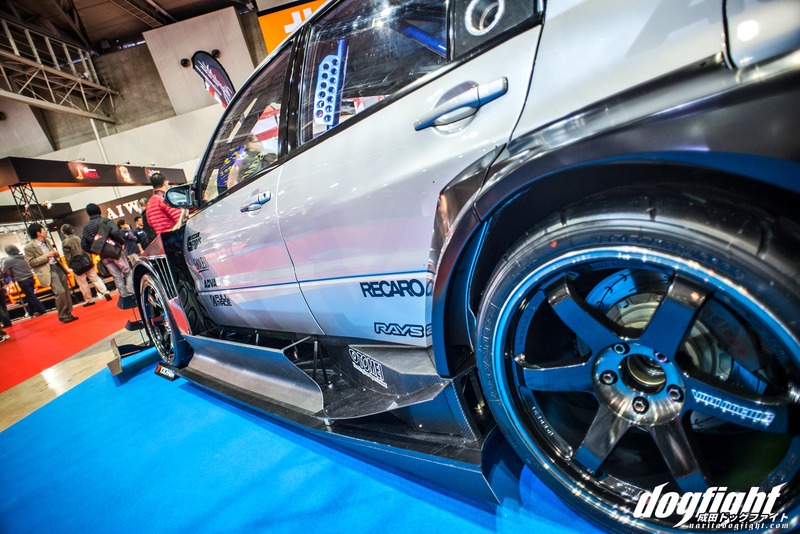 From any angle, the aggressiveness of this build can no longer be questioned. Take a look at the images below and see for yourself. The car now sits atop a massive set of 11jx18 TE37SL’s wrapped in 295 A050’s (naturally). 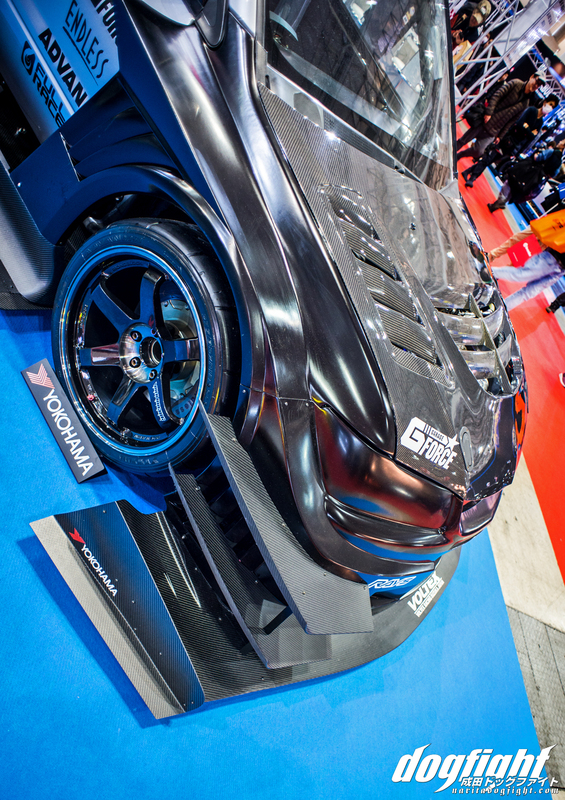 It was cool to get a close look at Voltex’s crazy skirt design. 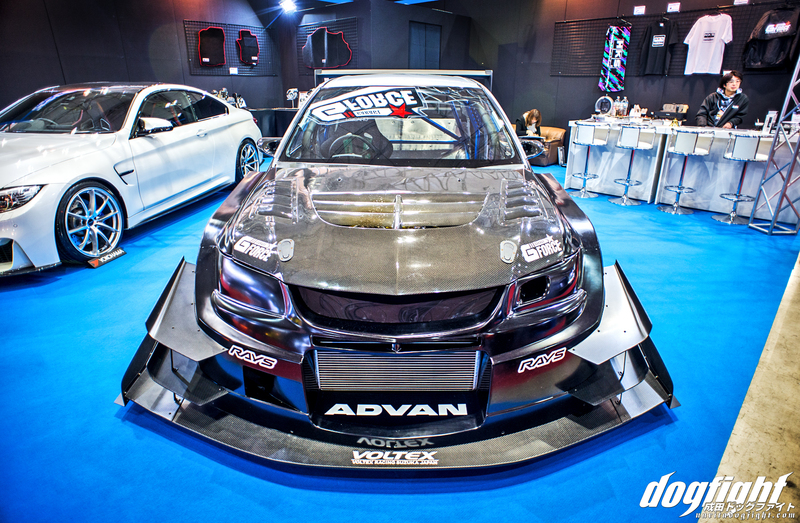 This design was actually wind-tunnel tested by Voltex and Cocoa Systems – so you know there is a method to the madness. The CT9A retains the engine it once had, although a rebuild may be in the works. 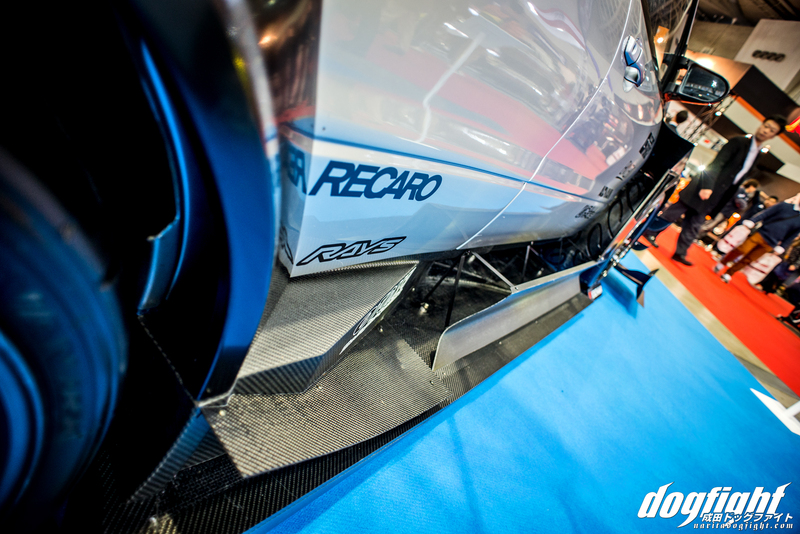 I would imagine they would want to set a baseline with the new aero equipped with a familiar engine. In it’s current state, the 4G63 produces an enormous 730 horsepower at around 7500 RPM. It’s mated to a Holinger transmission that puts the power down to the beefed up driveline. G-Force has a good relationship with Ohlins, and in turn they provide custom spec’d dampers for the garage. The car was fast in it’s previous state; I can’t imagine what the new aero package will yeild in time. We’ll keep a close eye on this build and look forward to seeing how much time the car gains at TC2000. Thanks for the feature! This was definitely one of my favorite cars at TAS this year. 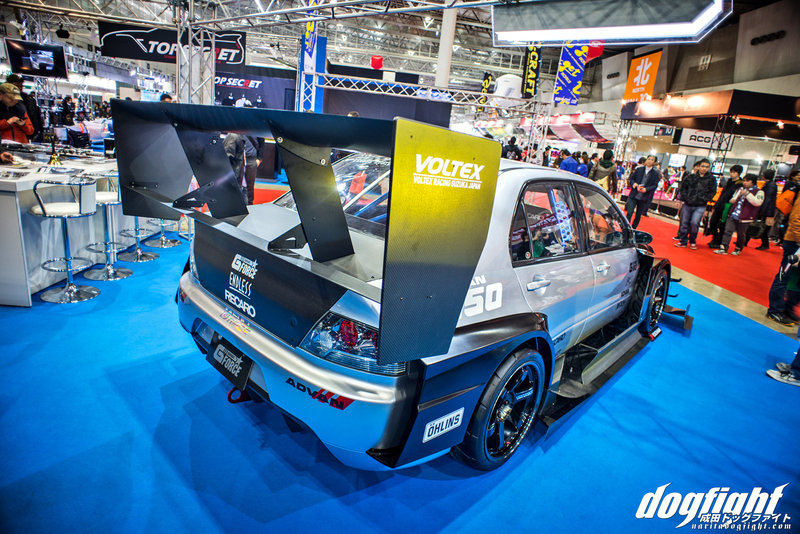 This Voltex kit actually debuted on the WTAC-winning Tilton Interiors Evo. I’m glad to see it on another car as it’s a fantastic looking kit even in its raw unfinished state. 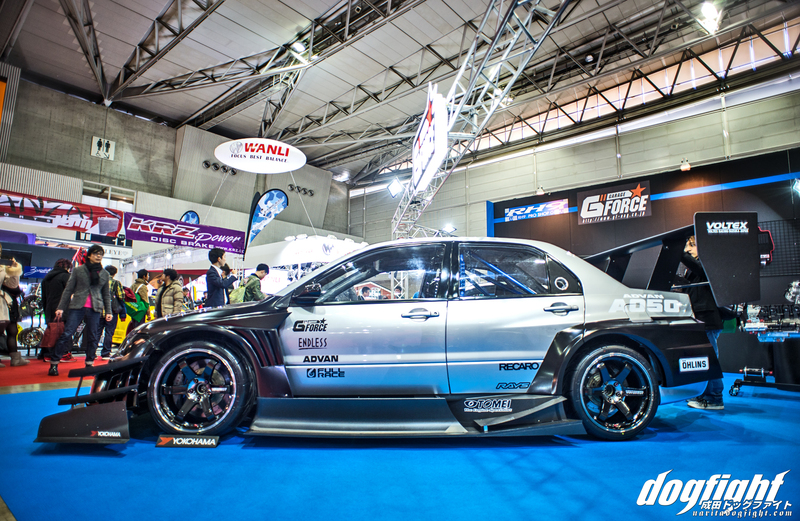 Voltex included the kit on the Kyushu Danji Evo in their 2015 catalog. Do you know if they’ll be releasing this kit for sale to the general public? For now I’m not certain, but they may offer it as a ‘made-to-order’ kit. Due to cost I doubt they’d keep inventory of it.